Many insurance companies provide life insurance policy without taking out a medical examination. Is that a good way to proceed? Let’s look at what it is and the pros and cons related to it. What is a no exam life insurance? When you purchase a life insurance policy, usually, you’re required to undergo a medical examination for getting approval. The main purpose of this medical test is to assess your health in relation to your life expectancy. No exam life insurance will provide you a life insurance policy without a physical exam. There are 2 types of no exam life insurance – (a) guaranteed issue life insurance and (b) simplified issue life insurance. The primary benefit of no exam life insurance is that you don’t have to appear for a medical test. However, you may be asked few medical questions. 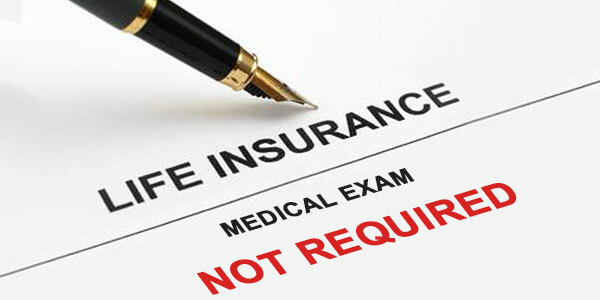 If you hate medical examinations, then no exam life insurance is perfect for you. If you don’t like to wait, then you must pick up a no exam life insurance to secure your life. The life insurance without a medical test can get you approved for the policy within 24 hours. Many lenders providing personal and business loans (such as Small Business Administration [SBA]) require you to get a life insurance policy before approving your loan. If you need a quick approval of a life insurance policy to obtain your loan, you can opt for this insurance coverage. When you get a life insurance policy where underwriting is required, the application process can be complicated. Whereas, with a no exam life insurance policy, the application process is simple. Anyhow, you have to answer some health questions in order to get this type of coverage. Initially, no exam life insurance policy wasn’t easily available. But today, you’ll find a lot of life insurance companies offering life insurance policy without you undergoing a medical examination. Since life insurance companies have less information about your health to measure their risk, the cost of no exam life insurance policy is expensive. When the insurance provider knows all your medical details, the cost of life insurance policy with a medical exam is less as compared to no exam insurance. When you’re applying for a life insurance without a medical exam, you’re required to answer few medical questions. Your policy may get rejected if you have certain health issues. You won’t have plenty of options in a no exam life insurance policy. For instance, you won’t get a critical illness rider in a no exam life insurance policy. Policy terms are more restrictive in a no exam life insurance policy. For example, you won’t qualify for more than a 15-year term if you’re 60 years old. Whereas in a traditional life insurance policy, you’re eligible to get a 20-year term up to 69 years of age. Moreover, you’ll get less coverage in a no exam life insurance policy that is not more than $250,000. No exam life insurance policy is good if you use it correctly. If you’re going to purchase a life insurance policy, don’t forget to consider the pros and cons of it.